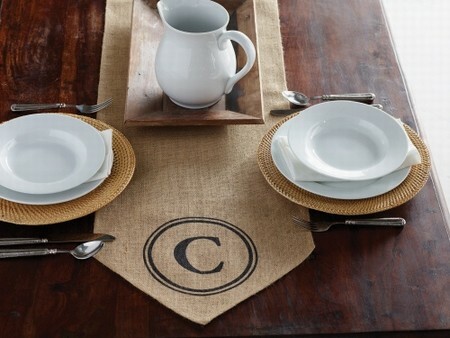 Decorate your home for the upcoming Holidays with a Burlap Runner with Initial. Tapered ends with printed Initial. Approximate size: 15" X 90"